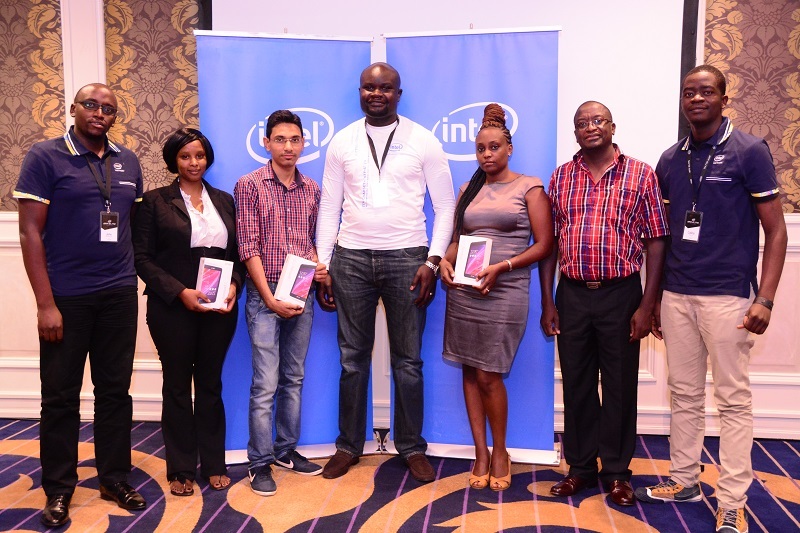 Intel has presented a sum of KSh 1.3 Million to 3 Kenyan startups that is aimed at helping them increase the user base of their self-developed applications. The three were selected from a pool of 14 applications that participated in Intel’s App Elite Challenge. Winning the challenge was a mobile banking application Mobi Biashara, a mobile game GoJimmyGo and JTL Faiba – a customer service app that allows clients to interact with their service providers and make payments. The three received about 450,000 each in support from the chipmaker. Participating applications were given access to technical software solutions that would allow them improve their apps so they can perform better across a range of mobile devices as well access to consultants who offered mentorship and guidance to successfully using the provided tools. The Intel Integrated Native Developer Experience (Intel INDE) is one of the tools that the app developers will have access to. Intel INDE is designed to assist developers in launching cross-platform applications that are fast and available across the various mobile devices in the market. With the newly developed applications, Intel promises that users will now be able to enjoy a better experience as they are designed to run fast and provide better customer satisfaction through the native code that is used through Intel INDE. “Native applications lead to better customer satisfaction from those downloading them. Happy users are more likely to recommend the applications to their friends or to rate the applications higher, leading to more downloads for the developer,” said Agatha Gikunda, the Software Services Group Lead at Intel East Africa. Developers will also be able to test their apps on cloud-centric tools developed by Intel including, Appthwack and Testdroid that are designed to emulate the actual experience as will be on a range of mobile platforms. Other applications that participated in the Intel App Elite challenge included KenyaBuzz Raha, Safaricom Daily Nation Reader, Ticket sasa, Eve Woman, Ghafla Kenya, KRA, Shoppers Delight, Ushahidi, Haki, Translater and Pesadroid.